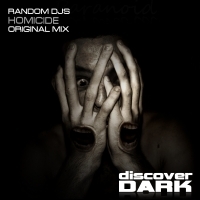 Discover Dark is very proud to bring you the stunning label debut from Random DJ's - Homicide. A throbing best of a tech trance tune peppered with samples, stabs and a growling bassline that pulsates through the bottom end with style. Add to that an instantly memorable breakdown topline that adds to the drive and impact of the tune - these boys clearly know what they are doing when it comes to dark tech trance. This is just how we like it - and we are sure you will too. A stunning label debut from Random DJ's. 'Homicide' is available now from Beatport and iTunes.